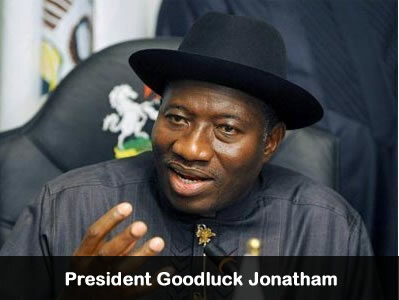 President Goodluck Jonathan on Wednesday dropped four ministers to enable them to pursue their respective political and economic interests, the Minister of Information, Mr Labaran Maku, said. Maku made the disclosure when he briefed State House correspondents on the outcome of the weekly Federal Executive Council (FEC) meeting, chaired by President Goodluck Jonathan. The minister said that those affected include Minister of Aviation, Stella Oduah, Minister of Niger Delta, Mr Godsday Orubebe, Minister of Police Affairs, Retired Navy Capt. Caleb Olubolade and Minister of State for Finance, Alhaji Yerima Ngama. Maku added that the President had also announced further changes in the Federal Executive Council. He noted that a number of ministers had been asked to step out of the Federal Executive council to pursue their interest. The information minister said the President had appointed the Minister of State for FCT, Ms Olajumoke Akinjide as Supervising Minister of Police Affairs and the Minister of State for Trade and Investment, Mr Samuel Ortom as Supervising Minister of Aviation. He said the President also directed the Minister of State for Niger Delta Affairs, Mr Darius Ishaku to take charge as Supervising Minister of the Ministry, while the Minister of Finance, Dr Ngozi Okonjo -Iweala should take charge of the functions of the Minister of State for Finance. Maku noted that the President asked the affected ministers to leave after they had indicated interest to pursue further goals in political and economic affairs in the country. He seized the opportunity to correct the erroneous report in the media that the former Chief of Staff to the President, Chief Mike Oghiadhome, was sacked by the President because of alleged involvement in purported scam in the NNPC. Maku said the report was false and misleading, adding that Oghiadhome resigned his appointment to pursue further interest in politics. “If the Office of the Chief of Staff does not supervise NNPC, it has no direct correlation with the work of the NNPC.